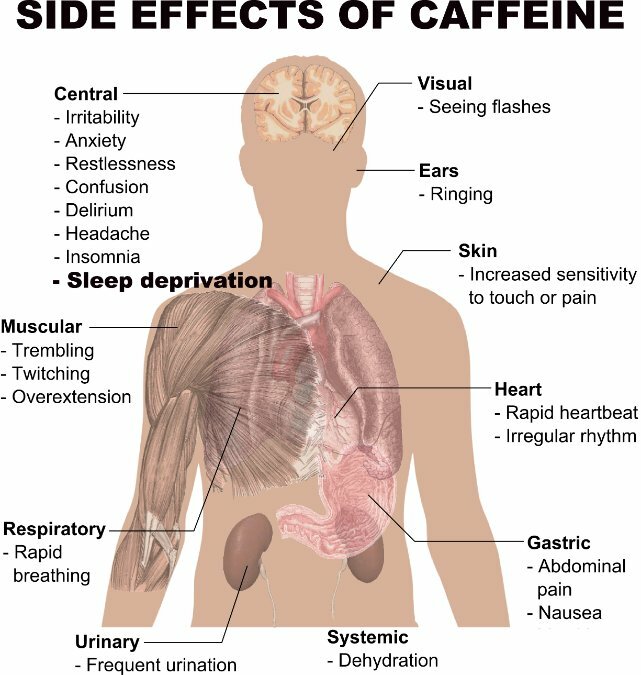 Coffee is America’s favorite drug with around 180 million of us starting most days with a caffeine jolt to get going. Some people enjoy their coffee and apparently have no health issues with drinking it. There are however some potential negative effects of coffee, particularly at certain times and when it becomes so addictive that you find it difficult to go a day without it. In small, occasional cups there is possibly a case to be made for some benefits to coffee. If it’s fresh, high-quality and ideally organic (regular coffee is one of the most pesticide intensive crops in the world) then a raft of studies have shown that it can improve alertness and long term it may reduce the risk of developing Parkinson’s disease, gallstones, kidney stones and liver cirrhosis for heavy drinkers. Conversely, in the longer term it has been associated with an increased risk of high cholesterol, heart disease and osteoporosis. In fact, the knock on effect of not digesting your food properly due to low hydrochloric acid in the stomach could be implicated in dozens of other health issues. Some experts go so far as to say almost all disease begins in the gut. Given this, you can see why it’s important to limit anything that interferes with its proper functioning. Many of the compounds in coffee like caffeine and the various acids found in coffee beans can irritate your stomach and the lining of your small intestine. It’s known to be a problem for those suffering from ulcers, gastritis, IBS and Crohn’s disease and doctors generally advise patients with these conditions to avoid coffee completely. 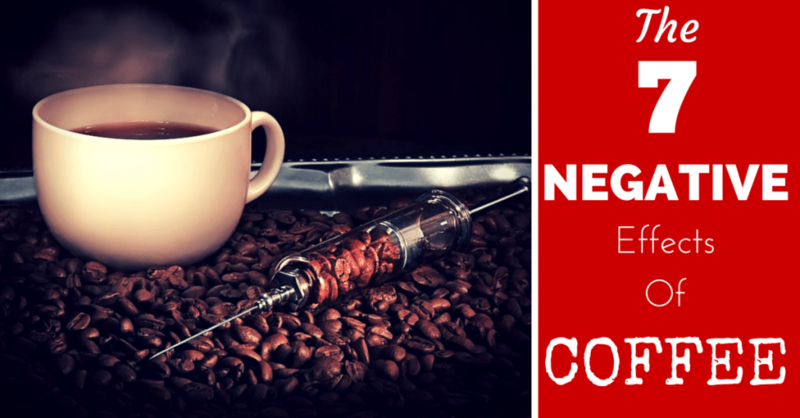 The question is, could excessive coffee consumption contribute to these health issues in the first place? If you are suffering from IBS, here is a plan for coffee replacement that deals with caffeine withdrawal. This plan also uses a Replacement that is Alkaline rather than Acidic and may actually help to heal your digestive tract. 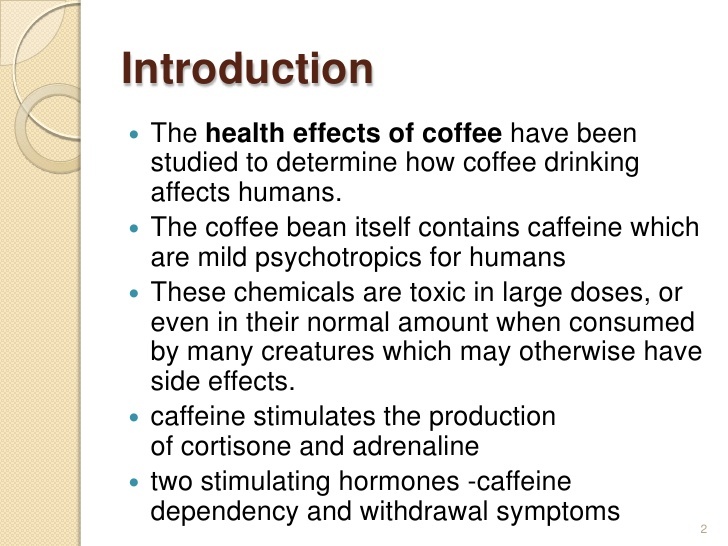 Caffeine is known to relax the esophageal sphincter so Coke and high caffeine ‘energy drinks’ can also contribute to heartburn, but coffee is particularly problematic for this. By stimulating peristalsis, coffee also appears to promote increased gastric emptying, whereby the stomach’s contents are quickly passed into the small intestines, often before the digesting food has been properly broken down. If you are concerned that you might not be getting enough magnesium (and apparently around 70% of other people in the USA are in a similar position, whether they know it or not) then transdermal magnesium oil can be more effective than oral supplements, which usually have poor absorption rates. Turning on the stress hormones with a cup of coffee when you’re eating also interferes with the digestive process. When you’re in ‘fight or flight’ mode, your body will divert its resources to being ready for a potential threat and digestion suffers as a result. Many people are very protective of their coffee and probably won’t like to hear all of these health problems associated with it. But if you’ve made it reading this far, perhaps you have a feeling that there could be some value in cutting down a bit or even replacing it altogether. If you are experiencing any of the digestive problems above, or just feel coffee has you too on edge but don’t know how to quit it, coming up next is a plan to replace the negative side effects of coffee with a new kind of drink that tastes similar but is actually healthy, as well as a simple way to reduce caffeine withdrawal problems when you make the switch. Do you think you might drink a bit too much coffee, but that it’s become such a habit you find it hard to stop? Have you tried giving up coffee before, whether successfully or not? I’d be really interested to hear your thoughts on how coffee affects you personally and your experiences with trying to give it up.